Let’s keep Americans working. 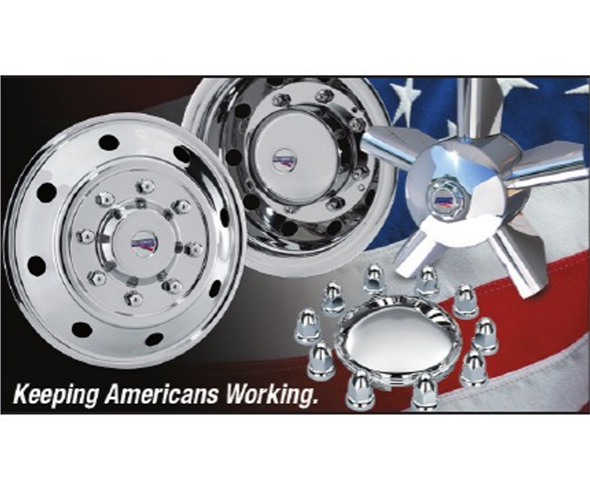 RealWheels is the only American manufacturer of simulators and axle covers. You can feel and see the difference. We use only heavy-gauge, high-quality stainless steel. Grille Covers for Freightliner 108/114, and LED AirGuard™ Tire Pressure Monitoring System. OEMs and body builders: complete contract manufacturing including Stainless Fenderettes – put our 30 years of experience to work for you. Call 800-982-1180 or visit www.realwheels.com for our new 32-page catalog.